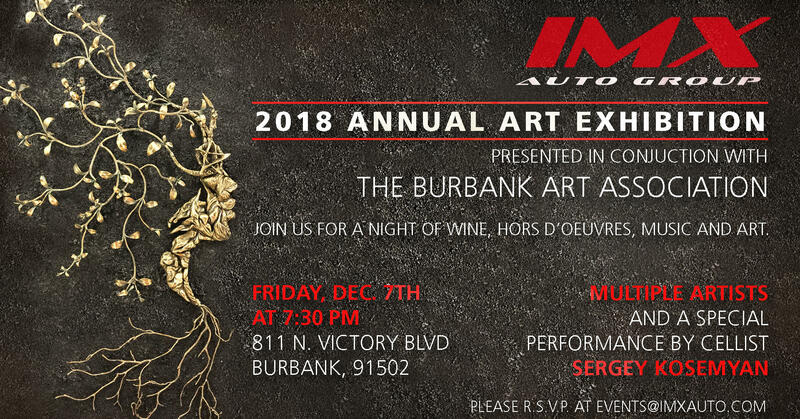 2018 Annual Art Exhibition presented in conjuction with The Burbank Art Association. Join us for a Night of Wine, Hors D’oeuvres, Art and Music. 811 N. Victory Blvd. Burbank Ca 91502.